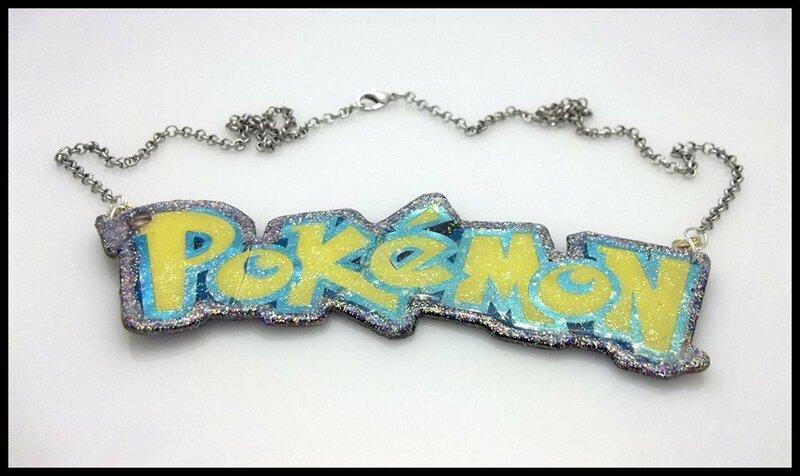 Repurposed Pokemon Purse Tag Necklace! This cute necklace is made from a purse tag! It has been processed to have a plastic coat and is edged with gorgeous glitter. Pokemon pendant is somewhat flexible, light, and 5 inches long by 1 1/2 inches wide on a silver colored 18 inch long chain. Purse tag from 2007.